We are still committed to finding new talents. To do this, we want you to be trained along with important figures and theoreticians working in international photography, through a high-level programme designed for those who are as passionate about photography as you are. Capture your moment: right now. Take part in our scholarship competition until the 17th of September 2012! 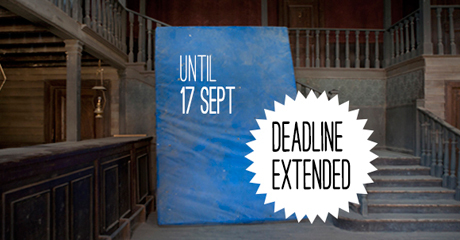 Deadline: September 17, 2012, at 10:00 am (Madrid time). The decissions of the jury will be published on Friday 27th OF sEPTEMBER 2012 AT 18:00, Madrid time, in iedmadrid.com. 1. Persons of any nationality and origin can participate. 2. Scholarships are awarded on a discretionary basis, based on the documentation received and the development potential of the candidate. The shortlisted applicants may be contacted for a brief interview in person, by phone or skype. 3. The European Master of Fine Art Photography and the Specialization Course in International Photobook are bilingual courses, they are taught in English and Spanish. A medium-high level of English is required. 4. Dynamics of the contest. Participants will fill out the participation form and will attach their resume, portfolio and a letter of motivation. 5. Awards. A first prize for the Masters equivalent to 8,500 €. A second runners-up prize equivalent to 6,000 €. A first prize for the Specialization Course equivalent to 1700 €. 6. The winner of the second prize, equivalent to 6,000 € of the total course fee, will have to pay the difference between the tuition fee and the amount of the prize. This difference is equivalent to 2,500 €. 7. The prizes of the scholarships are not refundable in cash. 8. To enjoy the scholarship it is essential to register and pay the enrollment fee within 10 days from Friday 21th September 2012, the winners announcement date. For the European Master of Fine Art Photography, the amount of the enrollment fee is 4,000 €. For the Specialization Course in International Photobook, the amount of the enrollment fee is 900 €. 9. Regime. Know and observe the rules contained in the General Rules of IED Madrid and accept and sign the internship specific regulation within one week from the communication of the grant. 10. Compromise to study the whole Master in IED Madrid, losing the grant if transferred to another centre. 11. 90% minimum class attendance. 12. Recipients must participate actively in all special and multidisciplinary projects proposed by the school: presentation events, tutored competitions and workshops. 13. Recipients must be actively involved in documenting the activities of the Master, blog maintenance, description of trips, workshops, conferences, etc. 14. In the event of a cancelation of the Master, due to not meeting the minimum number of students will result in the loss of the scholarship or the second prize. 15. Resigning to complete the course in the 2012 edition will result in the loss of the scholarship or the second prize. 16. Failure to meet any of the described undertakings will result in the loss of the scholarship or the second prize. 17. Grantees give their consent for their name to appear in the NewsPoint newsletter and other IED promotional materials. 18. The deadline to participate is September 17, 2012 at 10:00 am, Madrid time. 19. The jury’s decision will be published on September 27, 2012 at 18:00, Madrid time, in iedmadrid.com. 20. In accordance with the Spanish Organic Law 25/1999 of December 13, about Protection of Personal Data, we inform you about the inclusion of your provided work and personal data into an automated file called CUSTOMERS managed by Instituto Europeo di Design S.L. in order to provide information of interest based on your professional activity. We also inform you of your right of access, rectification, cancellation and opposition that you are entitled to and which may be exercised by writing at the following address: Instituo Europeo di Design, Calle Larra, 14 28004 MADRID or baja@madrid.ied.es. 21. Participating in this competition implies the acceptance of these rules. * The costs of additional educational activities are not included in the amount of the scholarship. ** These bases are correct except in case of typographical errors and are available on the website www.iedmadrid.com.